Am I showing my age? I remember the glory days of band posters and record covers, way back in the last century. Well, after a period of decline, gig posters are back. In this digital era, fans are looking for physical memorabilia - and printed T-Shirts and signed limited edition art posters fit the bill. Tonight's Ely Creative (http://www.meetup.com/Creative-Ely/) meeting featured Alex and Chris White of the award winning design company We Three Club http://www.wethreeclub.com/about/. Both had found their interest in music leading to a creative outlet in designing gig posters. And incidentally found each other, professionally and passionately! Their brash, often two tone posters shouted at us from around the room. 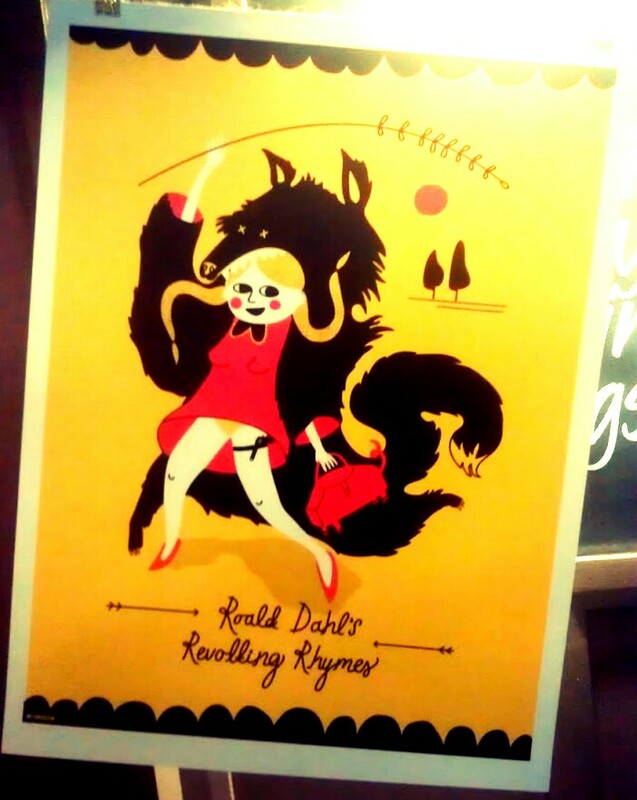 My eye was particularly taken by the cheeky, provocative poster for Roald Dahl's Revolting Rhymes. The rough, lively style is achieved through silk screen printing, where colors are applied individually by hand and using stencils. The print runs range from fifty to five hundred, ideal for a limited run product. Rather than working in isolation, the duo joined with other gig poster artists. First in exhibitions, such as Poster Roast, then by creating the UK Poster Association http://ukposterart.com. It was an interesting introduction to another successful creative business here in Ely. I want to advise you to see this site's http://www.poweredtemplate.com/brochure-templates/sales/index.html. Here you will find a large selection of posters and templates. Cool site that I have long use.